Your bride squad is ready to make your big day extra special and help you get beautiful! Bring all your makeup, hair supplies, and champagne of course. 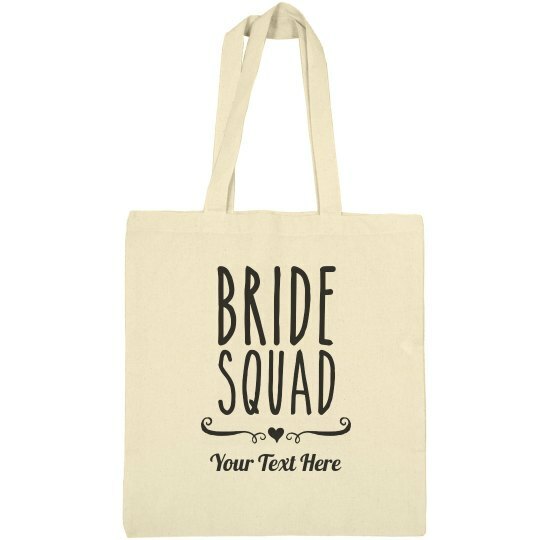 This bride squad bag is perfect to carry all of your things in. Customize it with any text, whether it be your name, the date of your wedding, or a fun little message.